Julie in a stand of old growth Coast Redwoods in Humboldt Redwoods State Park. 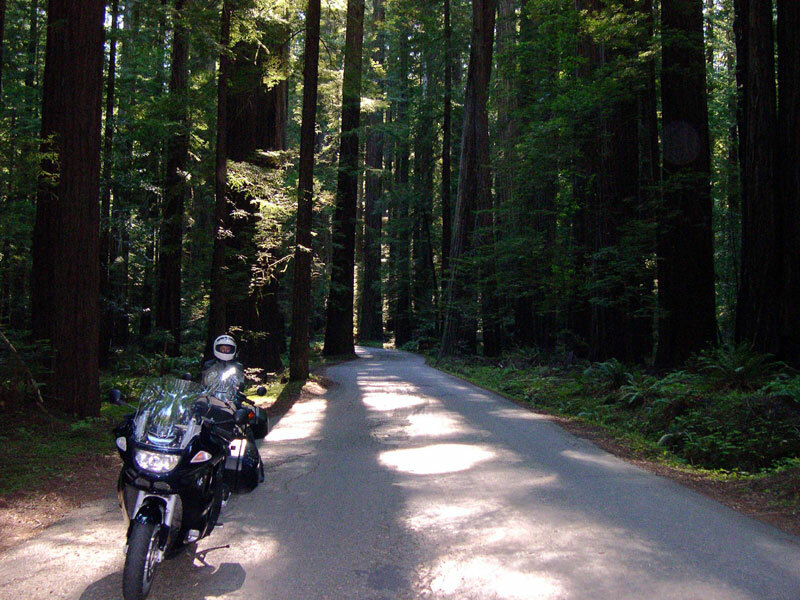 The big trees are so dense that it is silent and downright dark in there. 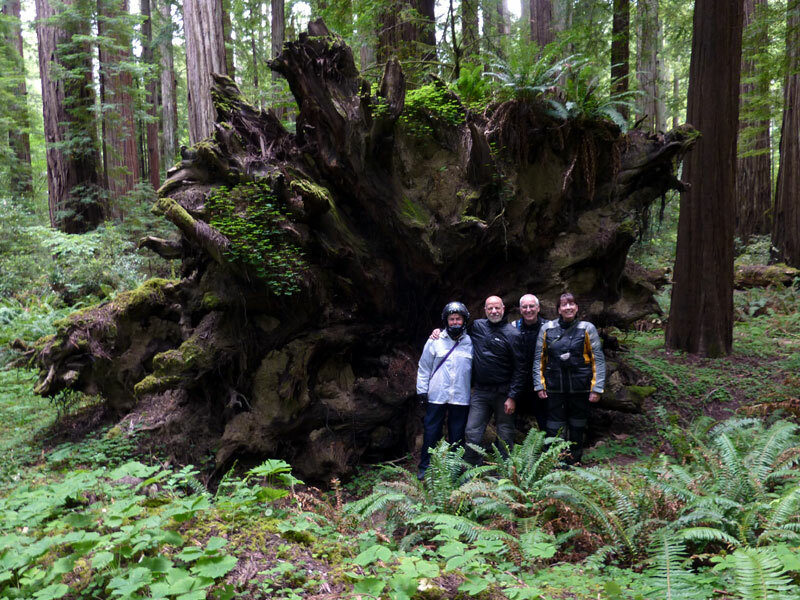 Cathy, Jon, Alan, and ah, there's Wendy, standing at the base of a fallen Coast Redwood.